Camp John Hay, Wright Park, Mines View Park: these are just some of the popular tourist attractions in the country’s Summer Capital, Baguio City. They are the locations that made this place a well-loved destination for many. 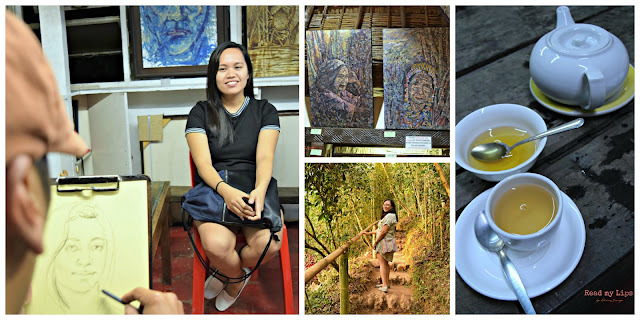 In this post, I will share new places to hangout for people who are into art or those who simply find the conventional attractions as Well… too conventional. So the next time you find yourself here, you have new places to go to. 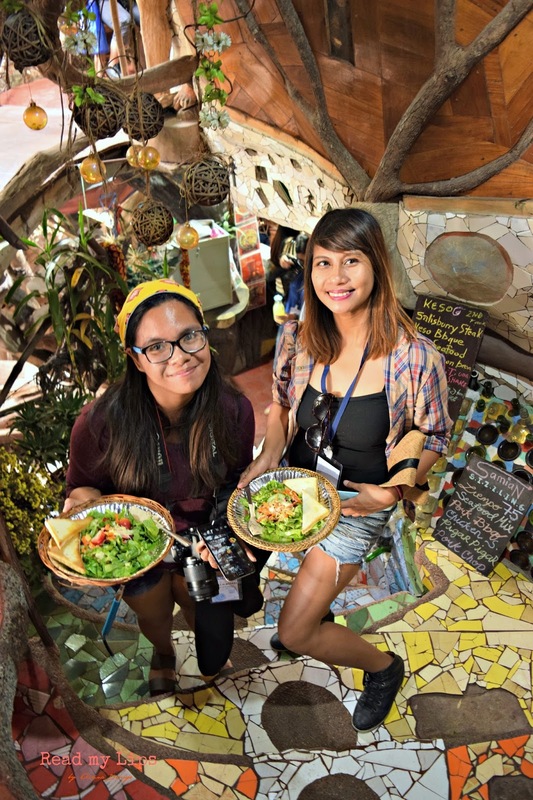 Ili-likha Artist Village is a venue where Baguio’s creative souls gather. Located on Assumption Road, Brgy. Kabayanihan, it is actually a dilapidated establishment that I honestly wouldn’t give a second look if I passed this road. Again, I am reminded to never judge a book by its cover. Its run-down appearance allows for creativity to flourish. 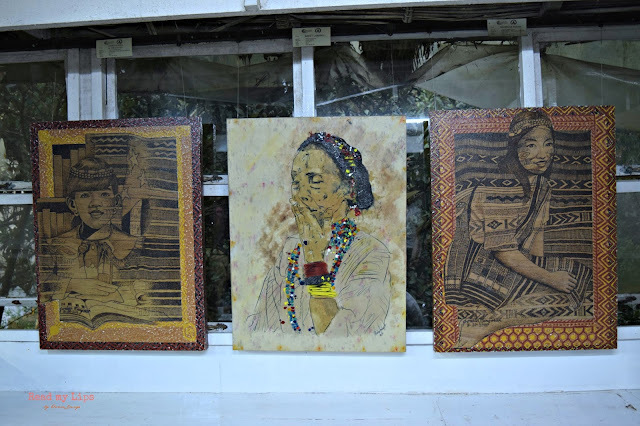 Luckily for us, we got the chance to talk to some of Baguio’s artists. Through them, I have learned that everyone is an artist and that inspiration can spark in even the small things in life. 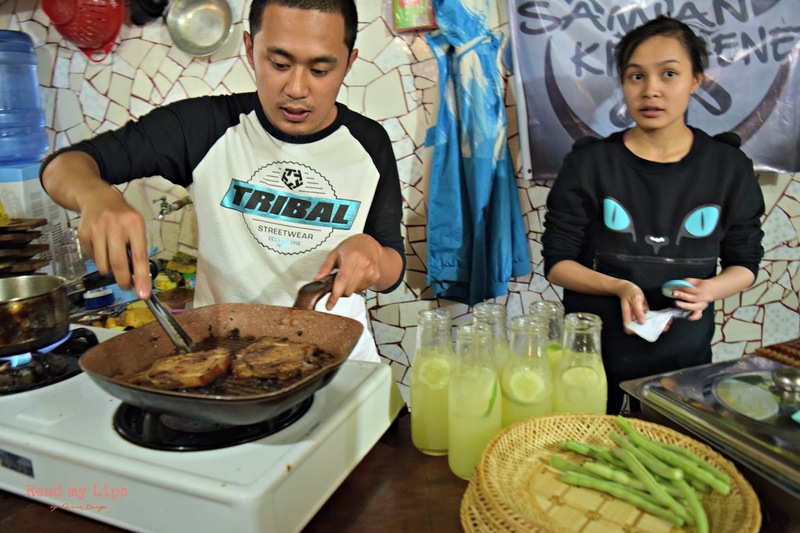 In fact, Serk Deyuda uses chopping boards (in photo) as one of his mediums. Awesome, isn’t it? It is free to explore this place. Ili-likha Artist Village also houses different restaurants which all serve vegetarian food. 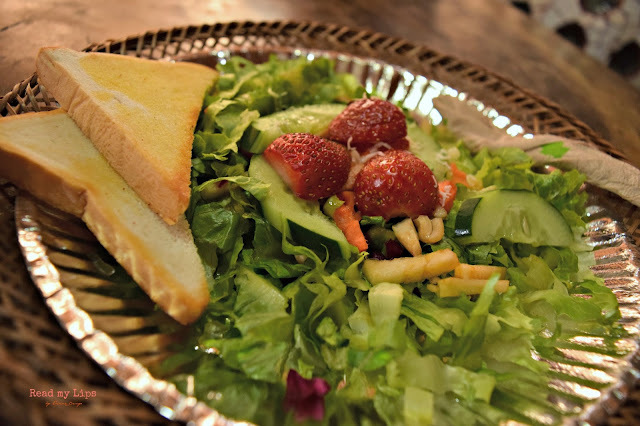 We were served fresh Mountain Salad, a filling and scrumptious dish boasting, of course, Baguio’s strawberries. Tam-awan Village is a model Cordillera village in Pinsao Proper, Baguio City. It features reconstructed Ifugao houses, paintings, sculptures, and more. 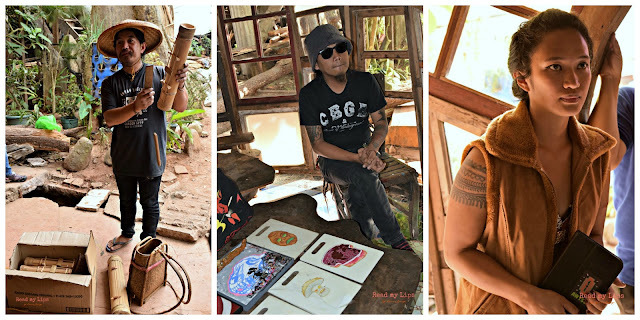 We went there to have our portraits drawn by the talented artists of Tam-awan. While waiting, we took advantage of the colourful houses perfect for photo backgrounds, the uphill trail, and the breathtaking view. The entrance fee to Tam-awan Village is only PHP 50. You can have your portrait sketched for PHP 150 if you are alone and PHP 300 for two persons in one portrait. 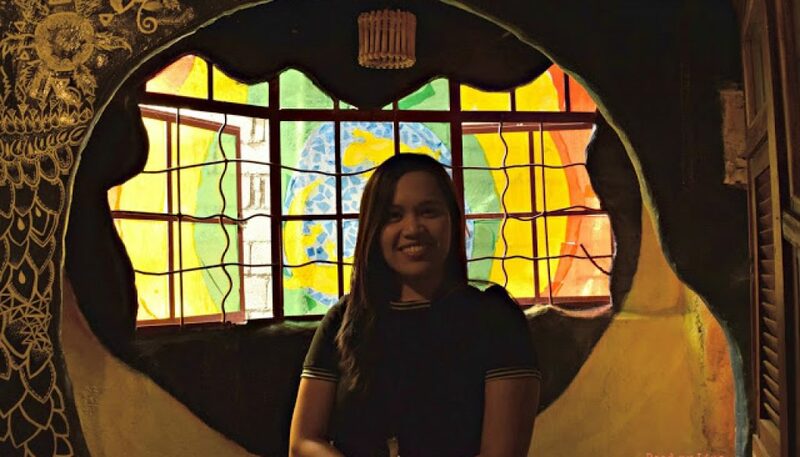 All in all, it was such a good experience to discover more attractions Baguio has to offer. It’s great that new destinations are being discovered every day so people wouldn’t get tired of going here. Truly, there are still a lot of undiscovered gems in the Philippines. On a side note, I have an incoming trip to Davao and I just can’t wait for what I am about to discover! For sure, I will be going to Samal Island. Enjoy your summer everyone!